Ordering is a complex process, for both customers and salespeople alike. Especially when ordering involves customized products, room layout designs, or specialized equipment. Product configurators reduce the majority of complications, but most companies still find their CPQ tools are lacking in ease of use and functionality. In fact, some companies may find that their CPQ solution needlessly complicates the ordering process with additional input fields, questions, and quotes. However, one type of CPQ solution that improves the ordering experience without fail: visual configurators. From 2D and 3D product configuration to virtual reality configurators, these product customizers leverage visualization to put a picture to the product; increasing customer satisfaction, order accuracy, sales performance, and more. If you’re in the market for a CPQ software solution, we highly recommend that you choose a vendor that offers visual configuration. Below, you’ll discover why visual CPQ tools are the difference between frustration and elation for your customers and which type of visual configurator is right for you. By 2020, the customer experience will have surpassed both price and product as the top differentiator. How your customers interact with and complete purchases with your company is swiftly becoming the most important part of your sales strategy. To put it simply, configuring a product with visuals is a better experience than relying on text descriptions and dimensions. Visual CPQ software gives your customers the ability to interact with and immerse themselves with the process of configuring their order. And as they build out their order and customize their purchase, the visuals grow and adapt to their specifications in real time. Compared to text, the visual configuration customer experience is more convenient, attractive, and engaging. One of the biggest benefits of product visualization is that it puts an image to the product. Pictures are powerful learning tools as humans can process images 60,000 times faster than text. Through visual configuration, customers can see and learn exactly what it is they’re ordering — including all of the pieces they’ve customized. This helps customers visualize the product they eventually will receive, something that’s very hard to do with just words on a page and their imagination. In addition to helping customers feel more confident in what they’re ordering, visual configuration also helps match the order with customer expectations, improving order accuracy and reducing the number of returns. Accuracy is incredibly important for your sales team as one bundle or customization error could result in a returned order and a full refund, which is incredibly costly considering you would have already made a customized product that can’t always go back into your inventory. Imagine showing your products in a virtual reality suite and your competitors showing theirs in a 8" x 11" product catalog. That’s the kind of leg up on the competition that visual product configurators can give you. Instead of presenting your products in a dated, traditional fashion, visual configuration allows you to showcase your products in an innovative, cutting-edge way. When customers compare your offering to that of your competitor’s, the difference will be crystal clear. You know that custom products are complicated orders. Your sales team often has to educate customers on what they can and can’t customize for any given product. There are dimension limitations. Add-on restrictions. Rules that have to be followed. And someone needs to communicate those specifications to customers. With visual CPQ, however, there isn’t as much pressure to educate customers. Considering the fact that 65% of the world’s population are visual learners, visual configuration helps customers understand what is and isn’t possible to customize. Furthermore, you can build strict, custom rules into visual CPQ solutions (including ours) that ensure customers can never order something that you can’t produce. Through a visual CPQ, your sales team doesn’t have to spend much of their day educating customers and walking them through the ordering process, instead, they can focus on developing the relationship and moving them through the sales cycle. Learn how visualization will make an impact on your business! Request more information on Powertrak Visual CPQ. What is a 2D product configurator? A 2D product configurator uses still images of products and art renderings to present customers with an accurate visual representation of their order. Why do you need one? If you want the main benefits of a visual configurator like real-time updates, product visualization, and more accurate orders, but don’t want to invest in a 3D or VR solution, a 2D product configurator is a great entry point. It’s a simple yet intuitive ordering experience. What is a 3D product configurator? 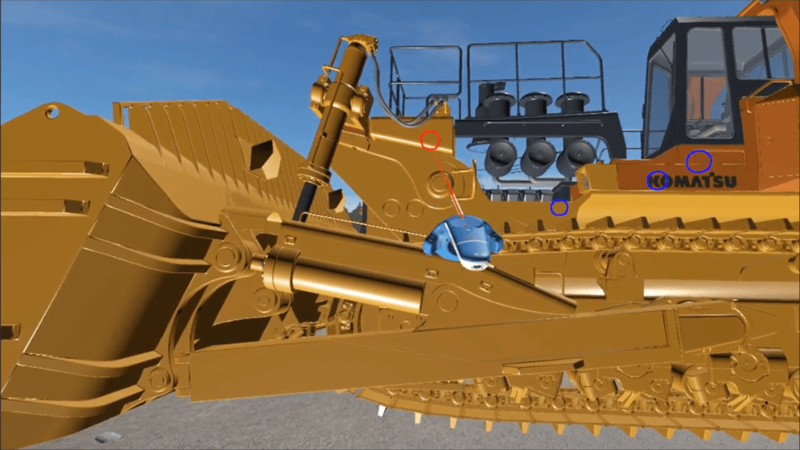 Taking product visualization a step further, 3D product configurators use three-dimensional renderings in a virtual showroom to provide customers with a complete, 360-degree view of their order. Why do you need one? Custom vehicles. Heavy Machinery. Recreation centers. Server rooms. The more complex your products are, the more you stand to gain from a 3D product configurator as there’s only so much you can show in a 2D image or text description. 3D images and renderings allow you to show your complex products in their entirety, ensuring that your customers fully understand what they’re purchasing. 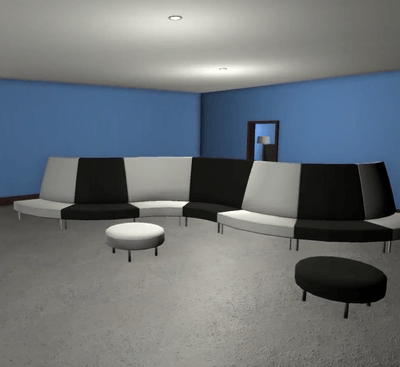 What is a virtual reality product configurator? Instead of relying on images and renderings, a virtual reality product configurator creates an immersive virtual environment for customers to explore the layout, interact with products, and validate the design - prior to ordering. Why do you need one? State-of-the-art. Innovative. Cutting-edge. If you want those words to be associated with your brand, a virtual reality configurator will get the job done. VR is the best way for your customers to virtually experience and interact with the products you provide prior to purchasing, allowing customers to configure their orders in a completely new and unique way. What is an AR product configurator? 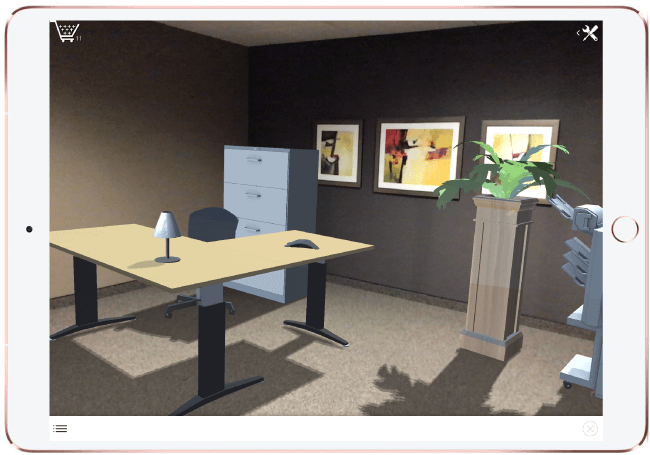 Augmented Reality enhances the configuration process by inviting customers to place virtual products in an actual, real-world environment. Powertrak Augmented Reality offers businesses a way to share their configurable product(s) to prospective customers through augmented reality on iOS devices that support ARKit. This app delivers interactive tools for users to 'virtually' see, place and arrange true-to-scale product models in the actual setting. Why do you need one? Powertrak Augmented Reality is designed to help prospective customers make better, more informed, and faster buying decisions by visualizing the layout design, on their own time, prior to ordering the product(s). Visual configurators make for a more efficient sales process and impressive customer experience. How are others using visual product configuration? Read our customer success stories to see how visual CPQ solutions have left a positive impact on their organizations.